Another shopping party! It's obviously spring. 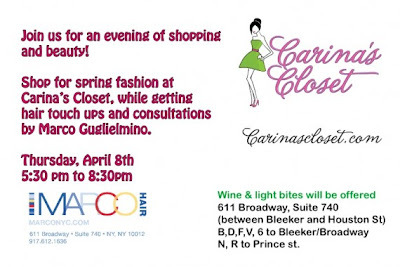 While the graphic says it all, stop by Carina's Closet tomorrow for some wine, some food, and a lot of shopping.